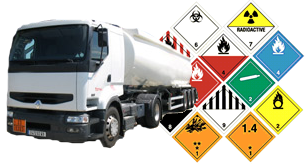 We are renowned as one of the well-renowned service providers, indulged in offering excellent quality Dangerous Goods Transport Service at pocket friendly price to our valuable clients. Established in the year 2000, at New Delhi (Delhi, India), we “Kvm Air Cargo Pvt. Ltd.”, are an affluent Service Provider, engaged in offering excellent quality International Freight Forwarding Services, Dangerous Goods Service, Human Remains Service, Live Animals Service, Perishable Cargo Service, Valuable Cargo Service and Vulnerable Cargo Service. Driven by ambition of our mentor “Mr. Sanjeev Dhaulta (Director)”, we have attained a reputed status in this competitive domain.